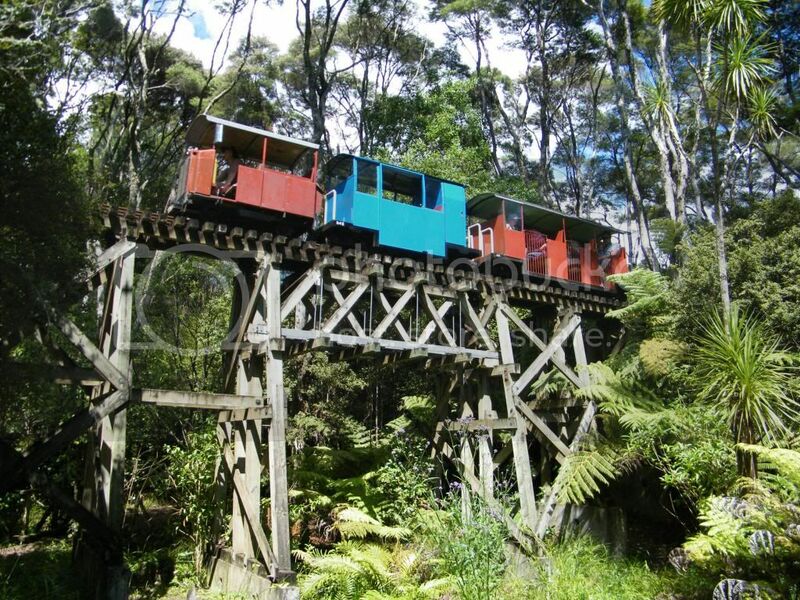 Here's a little operation in New Zealand, catering for tourists/railfans. 15 inch gauge, normally runs a miniature steamer, but on its day off, this engine does the job. Paul can probably give more information. 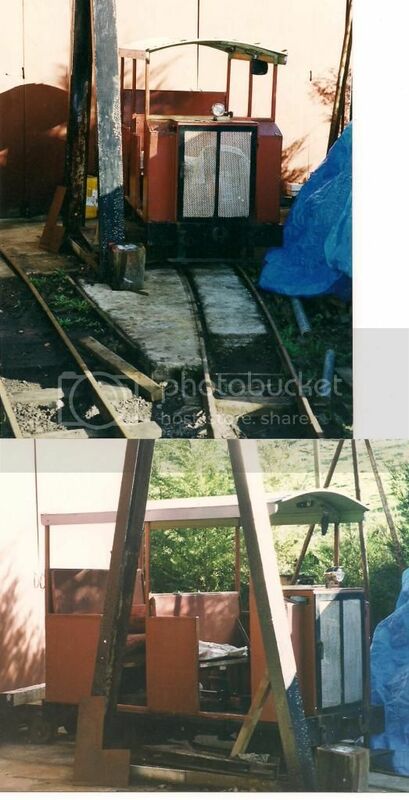 Photo is from Scott Pointon, son of the late builder of the line, and that's his sister driving the train. Well, finally got to visit the place.. it is 450 miles away. 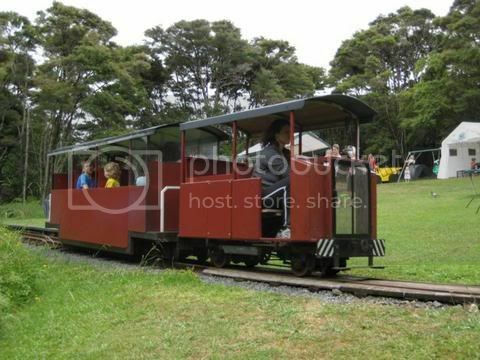 A new car has been added to the train. This is the viaduct 'at the bottom of the garden'.... very Heywood and Bush Mill like, with a very distinctive New Zealand bridge design. More photos to come, but Photobucket's playing up at the moment. Interesting thing with transparent front. Willow Creek Traction wrote: Interesting thing with transparent front. At speed, exiting the tunnel, and approaching the viaduct. Rather difficult to get a good exposure in a bush setting. However, back at the station, the sunlight shows the train 'going away' to good effect. Behind that big Kanuka tree is the main road. Finally found a couple pictures of the jigger in it's original front engine form. Alas, the railway is no more. It appears the Elves were wanting handrails and walkways on the bridge, amongst other safety type demands. Darn missed it. We stopped by when Carol was Auckland as an outpatient but it was closed for the winter. Apparently it's going to be a long winter. 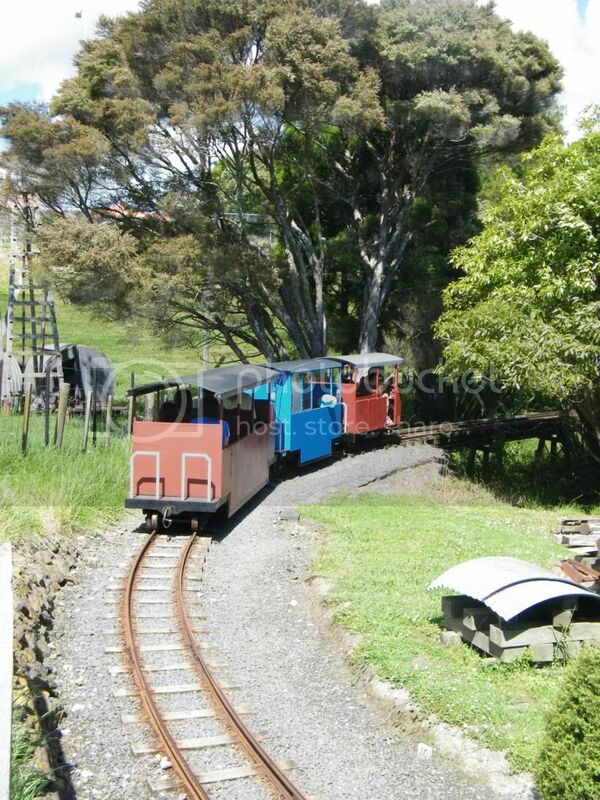 Wonder if the steam train has gone to Driving Creek. When he was alive Barry alway wanted a steam loco. 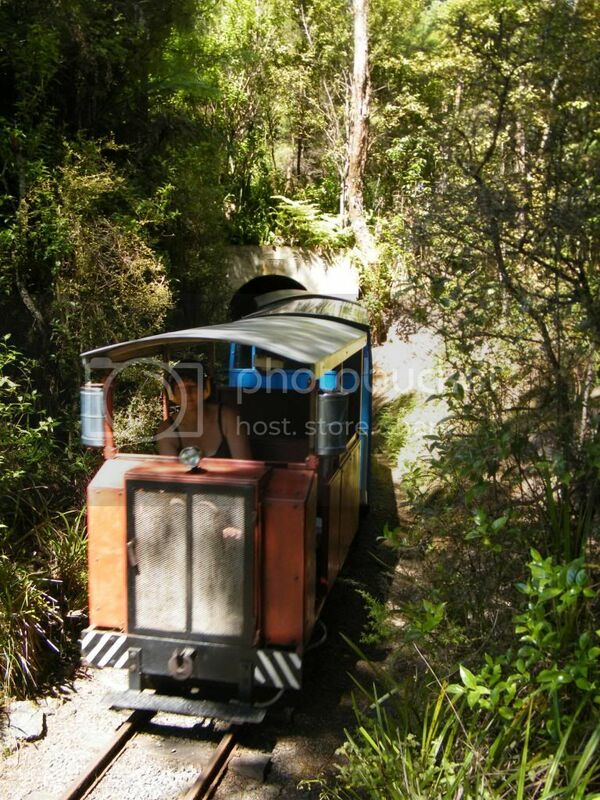 While climbing the big hill was not an option the short flat firewood siding was considered suitable for steam.